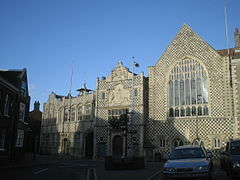 The society is an environment for those who are interested in the local history of West Norfolk. We organise lectures and carry out fieldwork in the area in a friendly, inclusive manner. For the fieldwork you are welcome to come and join in (we will support you) or perhaps just come and watch. Meetings are held in a well-appointed lecture room, last for about an hour and are on topics of local interest. A series of seven lectures at one per month running from October to the April. These normally take place on the third Tuesday in the month and start at 7:30pm. We attempt to cover a wide range of topics that directly relate to West Norfolk but also others that we feel will be of general interest to the membership. Daytime or evening visits in a relaxed manner to local places that are of historic interest. These summer outlings are both educational and social often finishing up with a relaxing drink at a local inn. 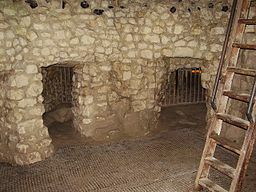 The project normally includes an element of practical archaeology and can cover such activities as digging test pits or surveying standing buildings and ancient features. The society is happy to support novices with advice, guidance and demonstrations of how the task should be done. 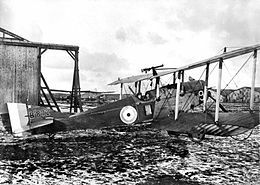 This work will include the vital task of identifying and preserving the artefacts found, as well as recording information gleaned from the work. The program of lectures for the next season can now be found under the 'Lectures' tab above. This visit is planned to take place on Saturday 18th May starting at 10:30am. This visit is planned to take place on Saturday 7th September starting at 10:30am. 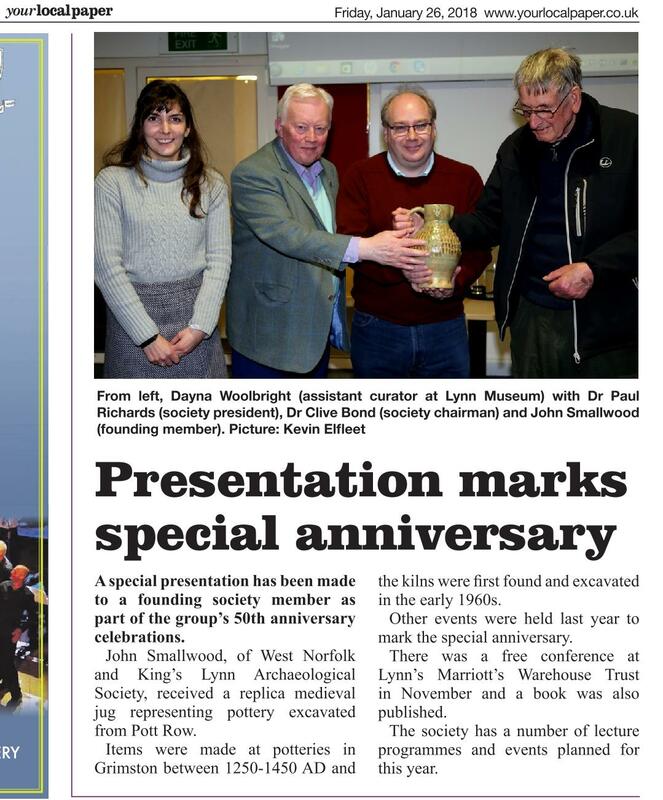 The society has been in the local Newspapers recently in coverage of the conference to celebrate our 50year anniversary and also the presentation to John Smallwood one of the founders. The society's investigation of a local farm contributed to a programme made for US television as part of the Expidition Unknown series. This systematic survey of an area that was a likely route for the Royal Treasure was also the subject of a recent lecture evening. 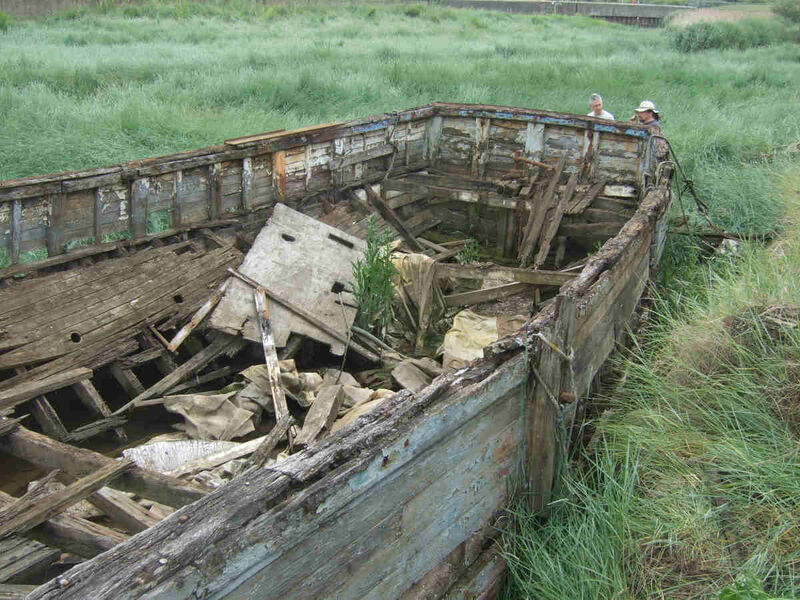 We are a local archaeology group that has been exploring the archaeology of West Norfolk for about 50 years. We pride ourselves on being a friendly bunch and of engaging with the local community wherever we are working. 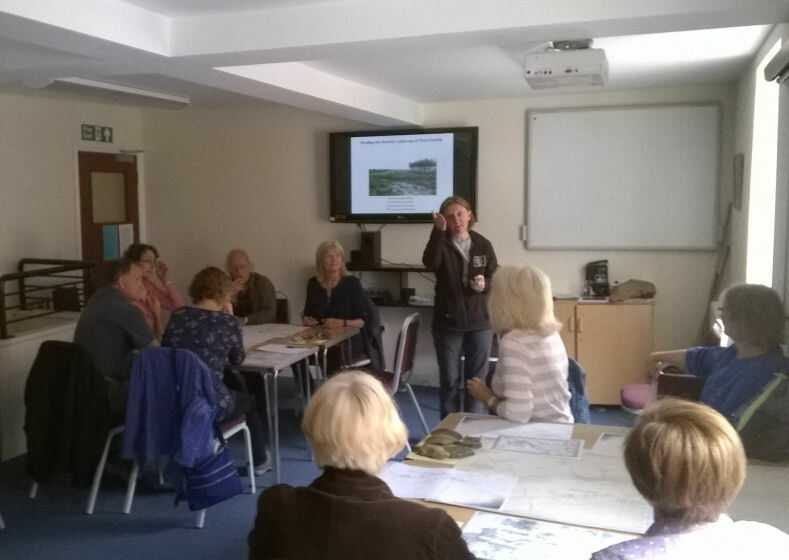 Although we have professionally trained archaeologists within our ranks the majority of our members are amateurs who are interested in exploring the history and heritage of the area where we live. 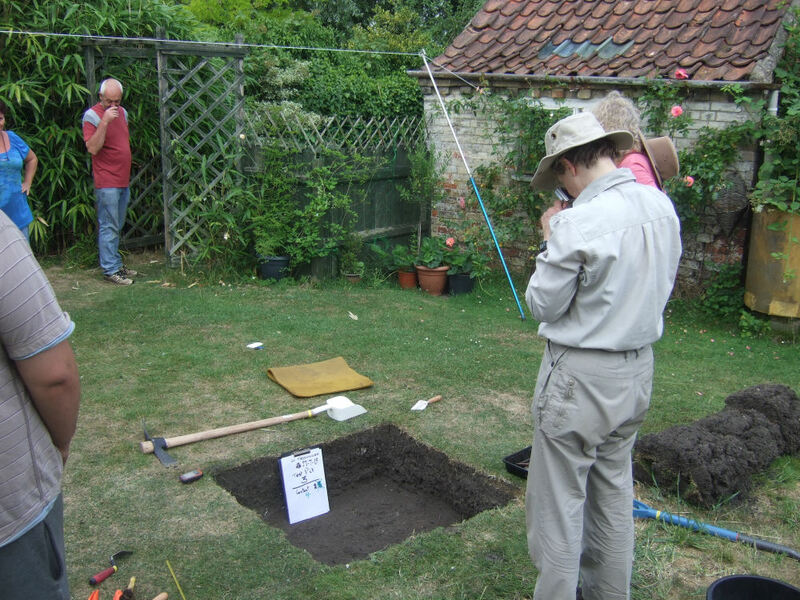 West Norfolk has a rich history and we enjoy our lectures and summer projects be they focused on digging test pits, surveying the seashore or just recording monuments for future generations.